Born and raised in Baton Rouge, Geordy attended college at Southern Methodist University where he received a Bachelor of Business Administration in finance in 1992. Geordy’s background in finance and accounting allowed for a seamless transition to commercial real estate. In 1994, Geordy launched his real estate career through Waters Investments, owning, managing and building personal investment properties. Geordy’s successful management of his own properties quickly attracted a client base that recognized the value he provided in real estate sales and leasing, as well as property management services. Geordy later moved to Latter & Blum Commercial Real Estate, where his expertise across the broad spectrum of the industry allowed him to advise a wide range of clients. In 2008, Geordy and his long-time college friend, Robert Pettit joined forces to form Waters & Pettit Commercial Real Estate. He has served on several local boards of directors and is a member of multiple professional organizations. Geordy and his wife, Kate, have two daughters. Born in Baton Rouge and raised in New Orleans, Robert attended Southern Methodist University for his undergraduate studies where he received a Bachelor of Arts degree in 1990. Subsequently, he received a Masters of Business Administration with a concentration in Finance from Louisiana State University in 2000. Following his undergraduate studies, Robert returned to Baton Rouge, where he worked in the mortgage and financial services industries. In 2002, he shifted gears and began his career in the commercial real estate industry, where his background in finance and his attention to detail proved to be an asset to clients. In 2008, Robert combined his talents with long-time friend, Geordy Waters, to form Waters & Pettit Commercial Real Estate. Their "team" approach philosophy is unique in the commercial real estate brokerage industry and is vital in adhering to the high client service standards they hold themselves to. Robert serves on several local boards of directors and is a member of multiple professional organizations. Paula Davis is a Louisiana native and has been a resident of Baton Rouge for over 25 years. 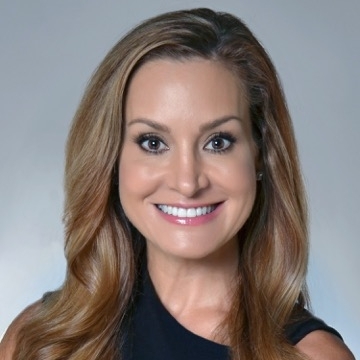 Paula received her Bachelor of Arts Degree in Political Science from LSU, is a Fellow of the LSU Academy of Politics, a graduate of the Baton Rouge Area Chamber of Commerce Leadership Academy and is currently a Louisiana State Representative (District 69, East Baton Rouge Parish). Paula earned her real estate license and began working at Waters & Pettit in 2017. Paula has been involved in numerous professional memberships and organizations in Baton Rouge, including the Baton Rouge Area Chamber of Commerce and the Louisiana Small Business Task Force. She is an active member within the Baton Rouge community, serving as 2017 President of the Baton Rouge Symphony League, is a board member of the The Arc of Baton Rouge, past Chair of the Bal de la Symphonie, past Co-Chair of the Baton Rouge Symphony League Madhatters fundraiser, past Co-Chair of the Manship Theatre's 10th Anniversary fundraiser, past board member of Playmakers Baton Rouge, and is an annual host of the Louisiana Art and Science Museum annual gala. In addition to being the third-generation of a family-owned business, Paula has been involved in Louisiana politics for over two decades, having worked in Association Management, Governmental and Public Relations and served as the Louisiana Deput Commissioner of Insurance. During Paula's tenure as Deputy Commissioner, she oversaw the regulation of commercial and personal lines of property and casualty insurance, including during Hurricanes Katrina and Rita, and was a senior policy advisor to the Commissioner of Insurance on property and casualty insurance issues. As a State Representative, Paula serves on the House Ways and Means Committee, House Insurance Committee, House Municipal, Parochial and Cultural Affairs Committee and Joint Legislative Committee on Capital Outlay. She is a member of the Capital Region Legislative Delegation, Louisiana Women's Caucus (Parliamentarian), and Louisiana Republican Legislative Delegation. Paula and her husband, John, have one daughter, Hayden.